All sizes of rubber stamps up to 100 x 150 mm including circular designs. Order before 12pm for same working day despatch. Up to 25 mm diameter rubber stamp used with an inkpad. Simple to order - use our templates or upload your own design in black on white. Rubber stamp up to 38 mm diameter - ideal for company stamps. Order before 12 pm for despatch same working day. 50 mm circular rubber stamp used with an inkpad. 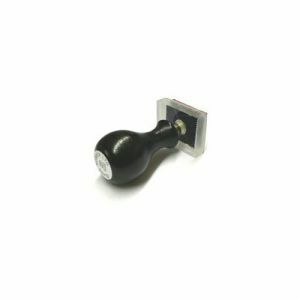 Up to 75 mm diameter rubber stamp used with an inkpad. Only £27.40 plus Vat including Free Delivery in the UK. Rubber stamp used with an inkpad. One or 2 line rubber stamp used with an inkpad. Simple to order - use our templates or create your own design. Up to 5 lines on a square 25 x 25 mm rubber stamp used with an inkpad. Up to 5 lines on a 25 x 38 mm rubber stamp. This size is ideal for small addresses or messages. Up to 5 lines of text on a 25 x 50 mm rubber stamp. Up to 5 lines of text or an image on a 25 x 75 mm rubber stamp used with an inkpad. Up to 5 lines of text of up to about 50 characters wide, or an image 25 x 100 mm. Up to 7 lines on a 38 x 50 mm rubber stamp used with an inkpad.